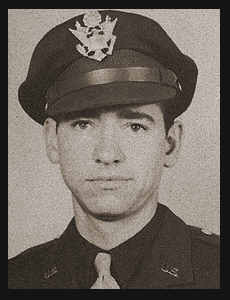 1st Lt. Murray V. Jett, son of Mr. and Mrs. George jet, attended Weaver High School and Okla. Univ. Entered Air Corps in Nov., 1942 trained in Washington State College, Santa Ana, Dos Palos and Chico, Cal., served in England; is now on duty in Clovis, N.M. Awarded ETO Ribbon with six Battle Stars, Air Medal with four Oak Leaf Clusters, Am. Defense, Victory Ribbons.